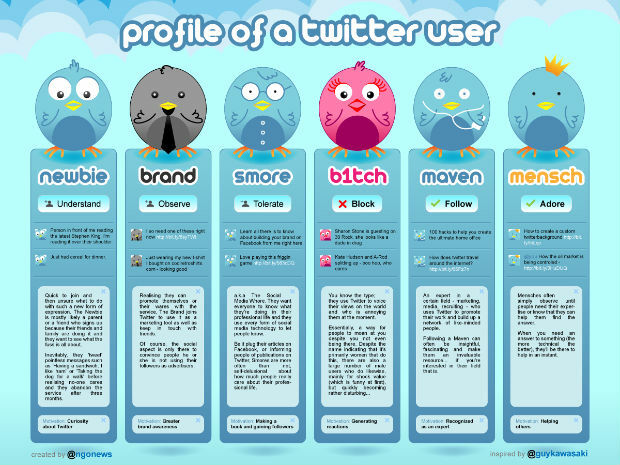 Here’s a very interesting infographics by TechXav. Well, it’s a bit ironic, but pretty true. In France, it’s not yet that big: media, journalists, bloggers, online activists use the microblogging platform; but all niche are not yet present. Let’s see if we’ll follow the same trends!